Unless you can get people to click your “like” button, your Facebook strategy will be as limp and lifeless as Matt LeBlanc’s post-Friends career. That’s because the vast majority of consumer interactions with your brand on Facebook do not occur on your fan page, but rather on the Walls of your fans. In fact, research from Jeff Widman of Facebook fan page consultancy BrandGlue (and a presenter at Facebook Success Summit) estimates that 199 out of every 200 interactions (99.5%) come from within the news feed. This means that almost nobody is coming back to your fan page after they visit it the first time. Think about your own behavior on Facebook. How many brands have you “liked” and then never returned? 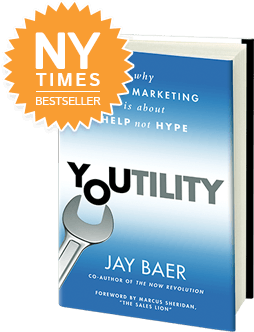 For me, it’s 137 total pages – a mixture of companies, organizations, other social media consultants, etc. How many of those pages have I visited after “liking” them initially? Essentially zero, other than grabbing screenshots for presentations. With the exception of baking the “like” button into your website, the best way to generate new fans on Facebook is to create a custom landing tab. This means when visitors come to your Facebook page for the first time, they see a customized tabbed page, not your Wall. For BrandGlue clients, using a custom landing tab increases conversion rate by 100% or more in almost every case. Tabsite is a Facebook application developer that specializes in giving businesses easily customizable tab pages. Tabsite allows you to create and manage the content on your custom tab as if it was a Web page or blog post, including adding multi-media. Instead of having a basic custom tab with one image, you can have multiple images, videos, text, etc. In fact, Tabsite allows you to have up to 5 “sub-pages” that operate underneath your custom tab. You can create coupons, add supporting information, etc. 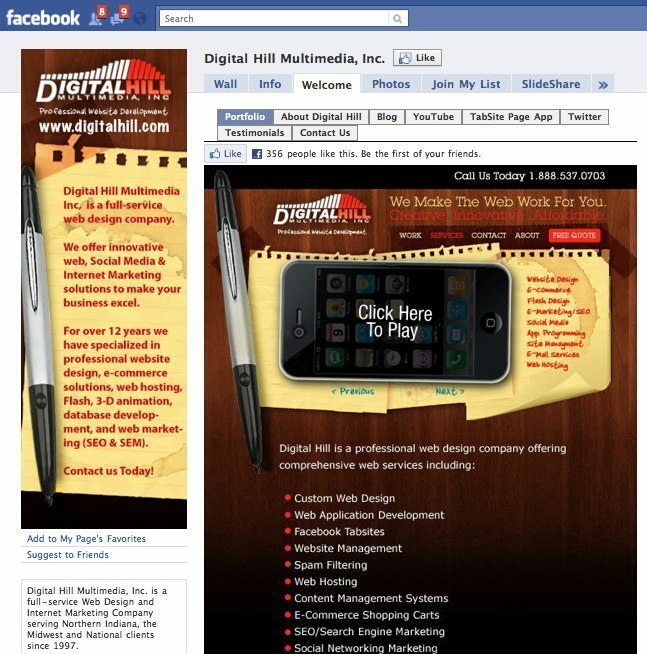 as you can see in this example Tabsite from Digital Hill Multimedia. Tabsite is free, or $5/month if you want to add a custom tab name, video, or PDFs. Tabsite is not difficult to install, but isn’t entirely obvious either. It’s best for experienced users. Also, there is no free trial at this time, and the “preview” feature is a bit cumbersome, so you may need to tweak your design and layout a few times. 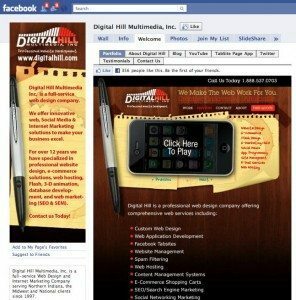 North Social is a Facebook fan page application developer that maintains a large (15+) and growing stable of widgets to add horsepower to your Facebook presence. (disclosure: North Social provides free apps for the Facebook page for The NOW Revolution, my new book with Amber Naslund) In addition to photo galleries, video applications, discussion boards and other options, North Social has a custom tab creator called First Impression. North Social’s set up and configuration process is outstanding, and customization of their apps happens exclusively within Facebook, making it fast and intuitive. The one challenge with North Social is that if you’re only looking for a custom tab solution, it’s overkill. North Social packages their apps together for one monthly fee ($19 for the basic package). So, you get access to 15+ customizable apps for one price, but if you care primarily about just one app, it’s like swatting flies with a baseball bat. This is perhaps the easiest of all custom landing tab creation options. Pagelever allows you to upload a single image and create a Welcome tab in about two minutes. For basic functionality, Pagelever is entirely free. The advanced version ($20 per year) includes the ability to add a “fan reveal” so that your custom tab has different messages for non-fans and fans. When a visitor clicks “like” the content automatically changes (without re-loading the page), and you can instantly thank brand-new fans and invite them to download a coupon, invite their friends, etc. Pagelever includes a 7-day free trial for the advanced version, and you can pay via PayPal. 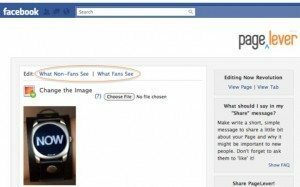 SplashTab takes a WordPress approach to custom Facebook tabs, offering customers a gallery of templates from which to select a tab layout. This is a smart approach, especially for non-designers. The SplashTab team will fully customize a tab for you if you want to get fancy. Currently, SplashTab is $6.95/month, with a 14-day free trial. Thanks to Tamar Weinberg for the heads-up on SplashTab. PageModo functions similarly to SplashTab, although I find their template selection and customization interface to be a bit easier to use. PageModo is free for personal use (fine if you’re okay with including a small powered by PageModo logo on your page). Business packages start at $9/month. PageModo wisely includes an “agency” edition that includes up to 15 customized pages for $59/month. It’s a good option for small business social media consultants and other folks being asked to create and maintain several pages. Remember that regardless of which system you use, your custom tab must be no wider than 520 pixels. Also, once your tab is completed, don’t forget to click on “Settings” on your fan page, and use the pull-down menu labeled “Default Landing Tab for Everyone Else” to select which is your landing page for non-fans. What’s your favorite custom landing tab on Facebook? 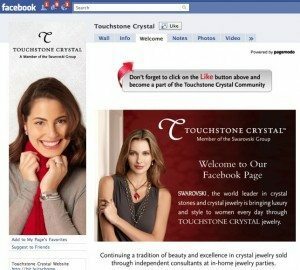 Have you created one for your page yet?